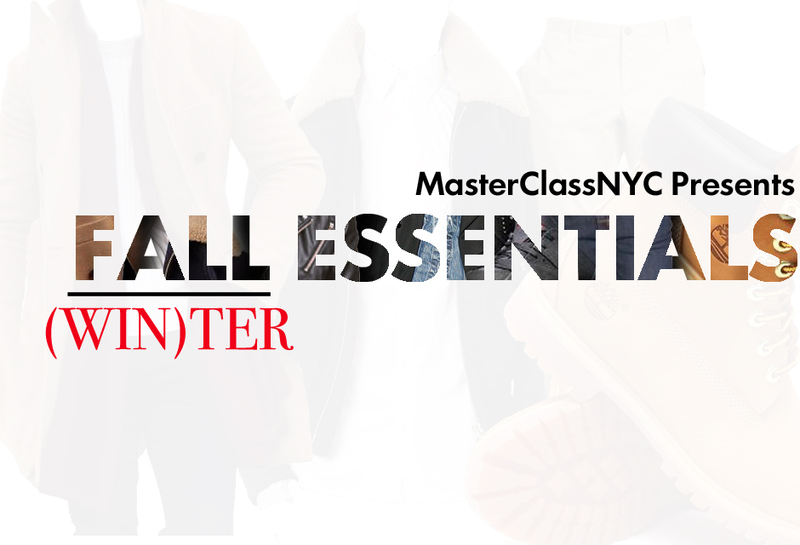 Couldn't do a Summer Essentials and not do a Fall/Winter Essentials, so we're back with another one! This time we're doing something a little different, keeping it straight classic! 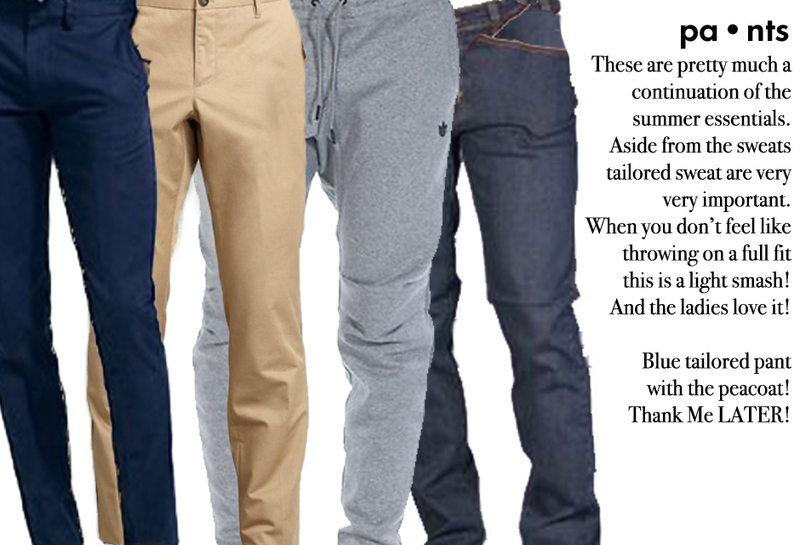 Instead of giving you an explanation as to why you need these items in your wardrobe we're just going to let you decide! 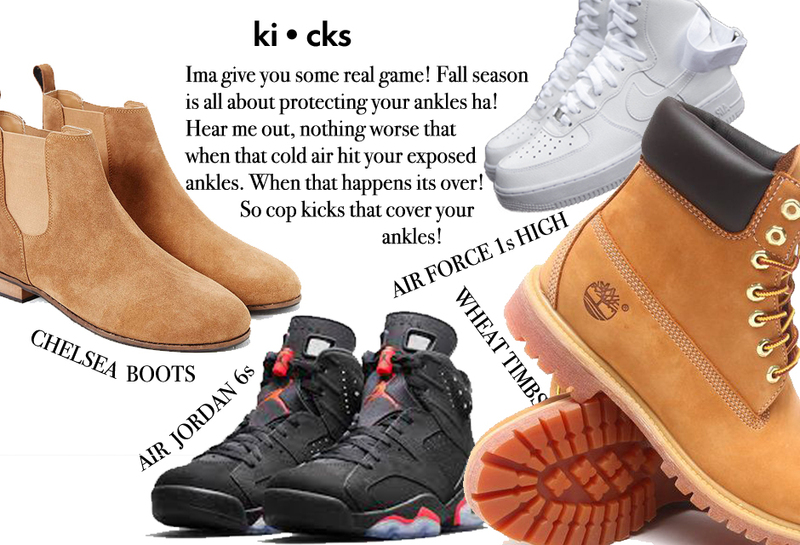 Just remember Fall is the "Flyest Season" of the year, it gives you the flexibility to explore your wardrobe! 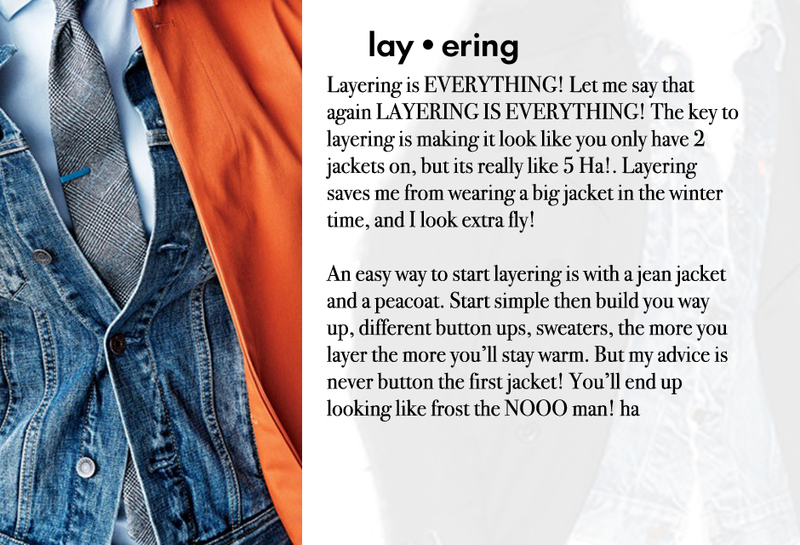 Mix different styles, different looks and see what works for you! Lets Get Started! 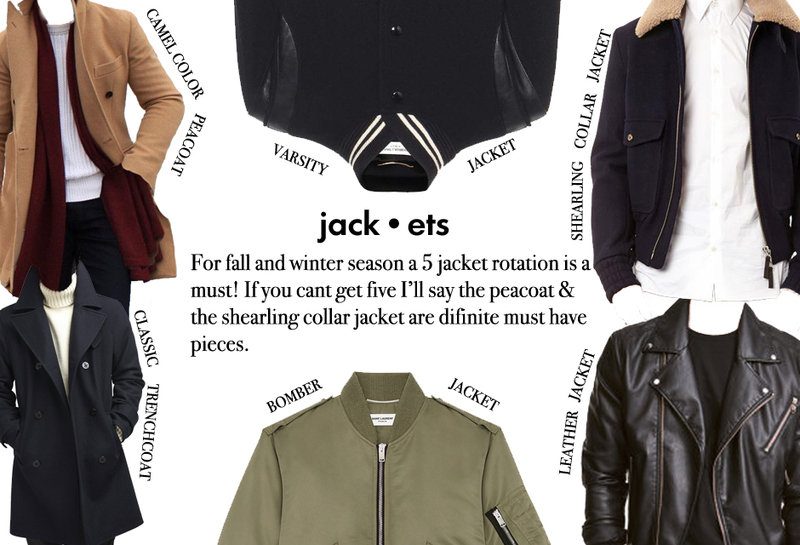 The most essential piece to a fall wardrobe is a fly jacket! There's no way around it, you need it! My best advice when picking a jacket is to keep it simple, look for something versatile that you can wear in any occasion, something you can layer with and still look great. 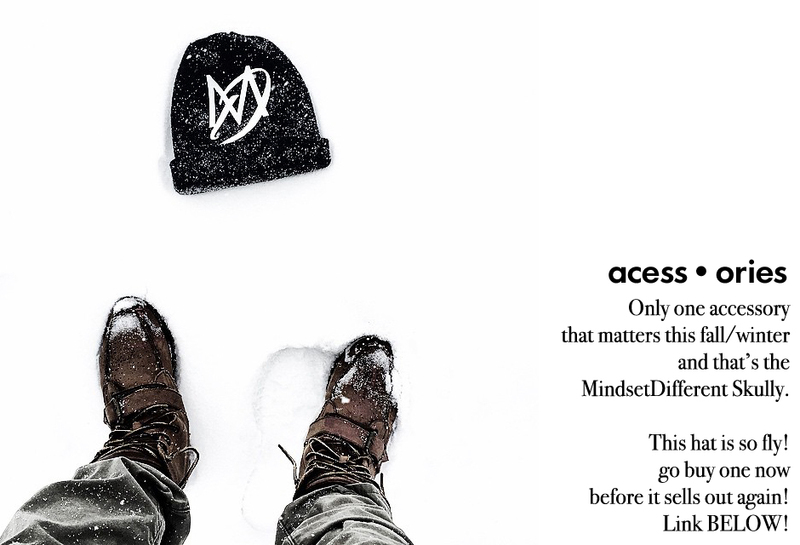 Here's a couple more accessories for the Fall/Winter. Definitely get a fly scarf and some leather gloves! Those aren't essentials, those are basic necessities!